Physicians performing TIPS procedures request accessories that provide instant feedback. The GORE TIPS Set, composed of the GORE TIPS Needle and GORE® TIPS Sheath, provides this feedback – while also offering the flexibility to order components individually. Precise Needle Puncture: The GORE TIPS Needle features a sharp needle tip for puncture precision, stiffness for responsive torque control, and an ergonomic handle for a stable grip. Stability During Advancement: The exclusive and unique interlocking feature of the GORE® TIPS Sheath secures the dilator hub and sheath during advancement for maximum component stability. 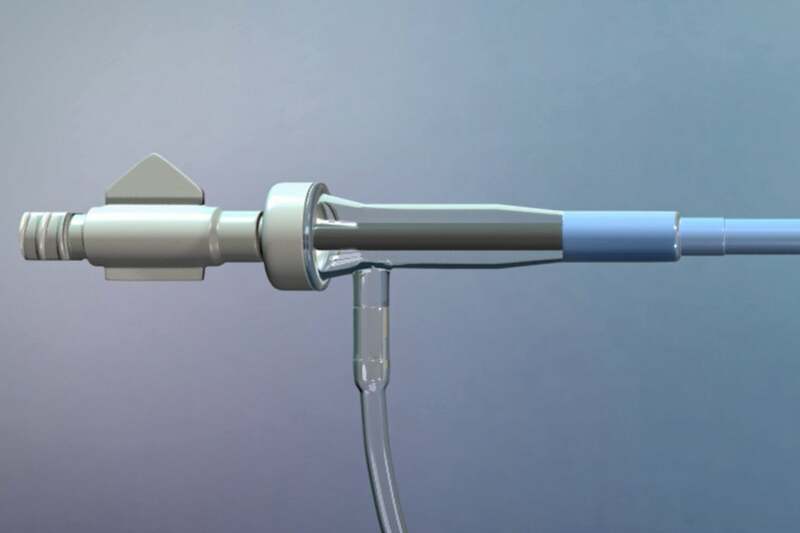 Instant Visual Feedback: The transparent tapered GORE® TIPS Sheath hub delivers immediate visual feedback of device and delivery catheter advancement for a smooth insertion into the introducer sheath. Needle Safety: Only the GORE TIPS Needle features a status band that when visible confirms that the needle tip is covered. Economic Value: The GORE TIPS Set is designed for optimum cost efficiency: Order, stock, and use only the components needed. With features designed to deliver optimal control, instant visual confirmation, and accuracy, physicians have access to advanced accessories designed exclusively for TIPS procedures. The GORE® VIATORR® TIPS Endoprosthesis is an innovative solution for TIPS in both de novo and revision procedures.